Our ambitious and enthusiastic students travelled from the UK to an overcast Amsterdam for the penultimate round of the GT4 European Cup. 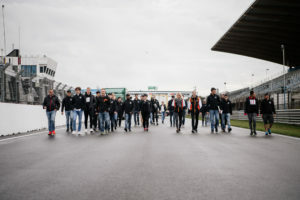 The team set out for the famous Circuit Zandvoort on Thursday morning, ready for another exciting event. In dull and drizzly conditions, they found the iconic track hidden amongst the sand dunes. 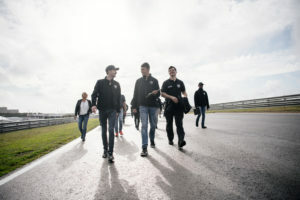 The day began with the now familiar routine; erecting the paddock and catering tents, applying the sponsor’s stickers to the cars, briefing the drivers and chatting with friends and colleagues from the Reiter Young Stars. The track walk took place in the afternoon with the racing legend that is Tomas Enge. Tomas provided the young drivers and students with the tips and tricks needed to drive on such a challenging race circuit. Arriving early on Friday morning, the team were ready for the free practice sessions. The main talking point in the paddock was the imminent rain, when exactly would it arrive? Fortunately, the dark looming rain clouds stayed clear of the free practice sessions. Unfortunately for RYS Team Kiska, early in the session, the rear right hand tyre blew as our new Dutch driver, Willem Meijer, completed Turn 3. Putting an end to the first free practice session. 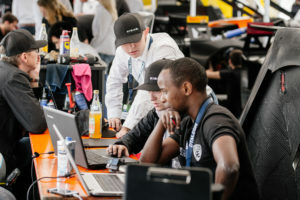 This meant student Steve Chege had very little data to help analyse car and driver performance, nor did he have any information to help prepare for the mandatory pit stop during the races. We would have to rely on free practice 2 to gather this crucial information needed for a successful race weekend. The car was pushed out to the pre-grid, ready for the second free practice. This time, Lennart Marioneck was first in the hot seat. A clean run boosted the team’s confidence, gaining vital feedback for the car setup. With Willem jumping into the car during the driver change, the session was significantly better than the first. Concluding free practice 2, telemetry was analysed, feedback discussed and adjustments were made to the dampers prior to qualifying. For Qualifying 1 the track was not drying sufficiently to allow slick tyres. 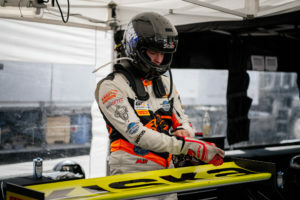 Wets were mounted and Willem began his first session with the KTM X-Bow. Unfortunately Willem got stuck behind traffic and posted the 8th fastest lap time for Q1 behind the Maserati GranTurismo driven by Phil Glew, a time Willem was disappointed with. For Qualifying 2 the track began to dry out, but after assessing the conditions the decision was made to stay on wet tyres. Half way through the session, the call was made to change to slicks and we planned for the optimal time to change. This involved using the live tracking lap times, some calculations and our own judgement. 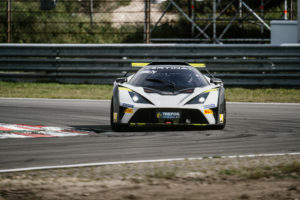 The car was called in, the expert mechanics from Reiter Engineering switched the wheels and Lenny rejoined the circuit. Unfortunately a similar situation occurred where Lenny was stuck in traffic at the end of the session with a time he felt he could improve upon. Posting a time of 1 minute 47.480 seconds, the team preliminary qualified P5 for Race 2. With the first race scheduled later in the evening, qualification performances were analysed by the students and a final team briefing for Race 1 had morale very high. For Race 1, RYS Team Kiska started P7 on the grid due to a 5 place grid penalty for our colleagues at RYS Team KTM. 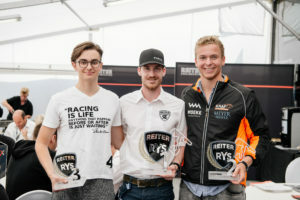 Willem and Reinhard Kofler ( RYS Team KTM ) took advantage of an error made by the Academy Motorsport Aston Martin moving them up through the order. With a quick driver change (practice makes perfect), Lenny was sitting in the car waiting for the signal from student Joanne Mitchell. The length of the pit garages and the size of the GT4 European Series Northern Cup grid meant that the cars were parked at 45 degrees to the garages, then be pushed out until they were parallel with the fast lane and released immediately when it was safe to do so. This made it challenging to achieve the optimum pit stop time. Lenny improved his position with several daring overtakes of several Porsche Cayman’s and the McLarens570s, until a collision meant that the race finished under safety car conditions. Lenny brought the car home in P3 behind our colleagues from RYS InterNetX in P2 and the Maserati GranTurismo MC from Ebor GT Motorsport in first place. Race 2 started bright and early at 09:45 on Sunday. Tyres were fitted and pressures set, fuel calculations were made, cars were checked and drivers briefed. Due to penalties handed out during the first race, Lenny started P3 on the grid behind the KTM of RYS Team InterNetX and the Maserati of Ebor GT Motorsport. A spin by InterNetX on the second lap and a dramatic fire caused by an oil leak on the CMR Ginetta G55 car on lap 4 moved Lenny up to second place. A red flag was called and all cars entered the pit lane, lining up in the fast lane until the race could be restarted. 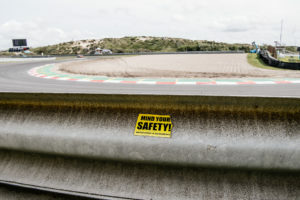 Due to the extent of the oil spill on the track, the driver change occurred during this red flag period after Parc Ferme conditions were lifted. Meaning there was no further pit stops scheduled for the race. 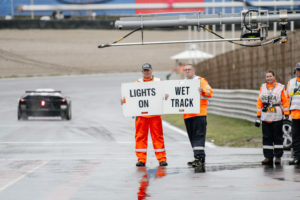 The race restarted under safety car conditions for two laps. Willem was now in second place, fighting to catch the faster Maserati out in front. Unfortunately the KTM X-Bow, with worn tyres, arrived too fast into Scheivlak corner and entered the gravel trap. Willem was able to recover and rejoin the race, but he had lost several places. The car eventually came home in 6th position, picking up points for both the GT4 European Series Team and the driver championships. However the Maserati of Ebor GT Motorsport was extremely strong at Circuit Zandvoort, claiming victory in both races. 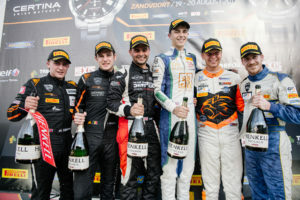 As for the RYS Driver Championship, Lennart Marioneck picked up P2 in Race 1. Race 2 results saw both drivers celebrating as Lenny lifted the P1 trophy and Willem lifted P2. Crucial points for Lenny as we enter the last round of the season. 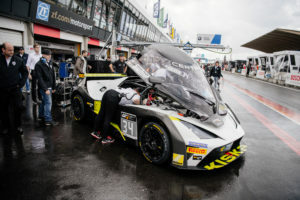 Overall, the RYS Kiska team feel they have made good progress and are in a strong position for the race at Nürburgring this weekend. The RYS Team Kiska sitting 3rd in the GT4 European Series Northern Cup, 1 point behind RN Vision STS. Lennart Marioneck is 2nd in the GT4 European Series Northern Cup driver championship, 22 points in front of Matt Nicoll-Jones. 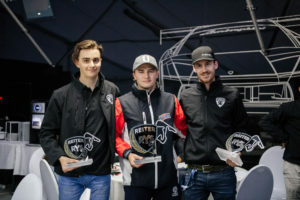 Lennart is also 2nd in the RYS driver championship, 11 points behind Mads Siljehaug. With podium positions for both championships at stake, tensions are high and Nürburgring is set to be an exciting weekend. Make sure you get your tickets here and call into the paddock and say hello to the team this weekend!